Fresh ideas, smart strategy and clear copy from an award-winning pro. Project or ongoing work for agencies, marketing directors and other professional communicators. 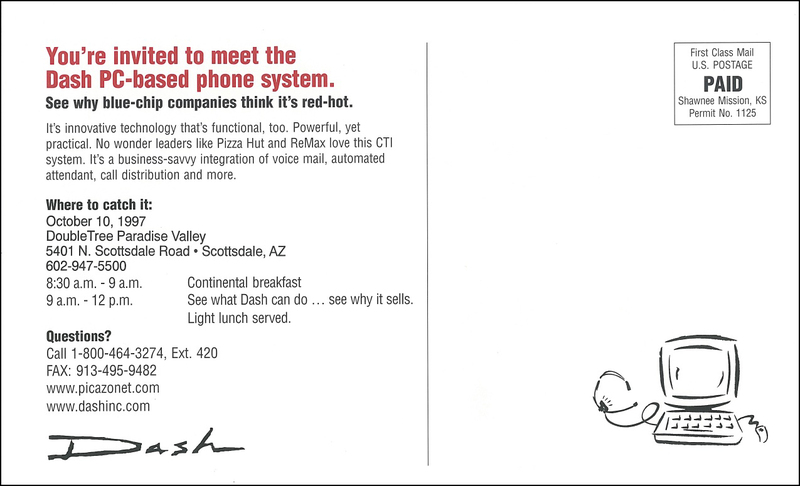 Dash phone system B-2-B postcards promoted integrated telecom to business leaders. 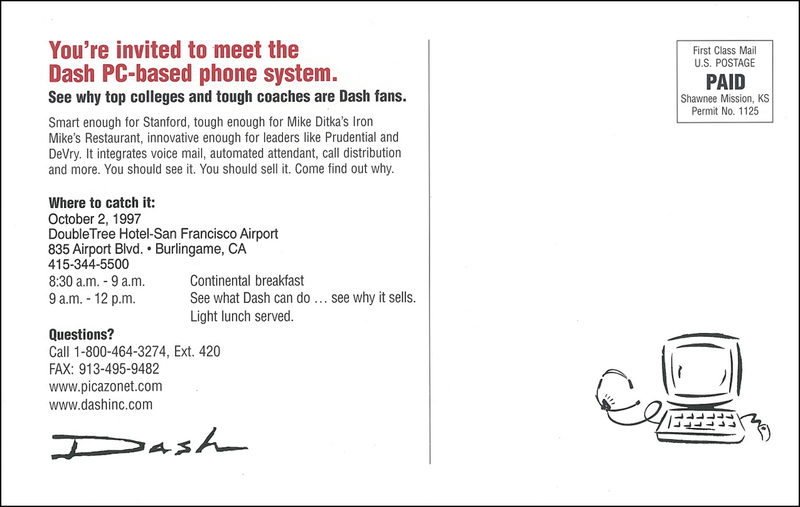 Dash phone system B-2-B postcards featured testimonials from well-known business leaders.